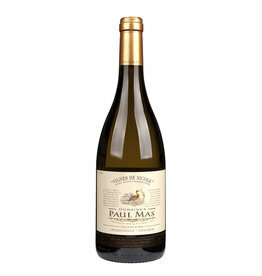 The Paul Mas Estate wines are produced from the vineyards of Nicole near Pézenas or the Château Paul Mas in Conas. Michel Mas is responsible for the vinification and is supported by the Australian oenologist Richard Osborne, who mainly cares about the white wines. 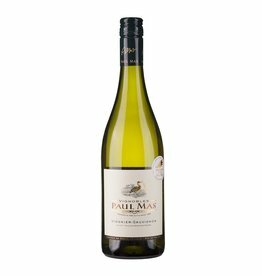 The Chardonnay Paul Mas Estate is from the "Nicole Vineyard". It has a delicate golden yellow color. On the palate, a typical Chardonnay from warmth, soft to opulent, low acidity, tropical fruits like pineapple, lightly after hazelnut, linden blossom, vanilla and roasted bread. On the palate, it is fresh in all its abundance, and again in the long finale. This wine will taste best in the first 3-4 years of its life as long as the fruit is still present with all its youthful power. Enjoy it with light meat, pies, casseroles, seafood and fish dishes.